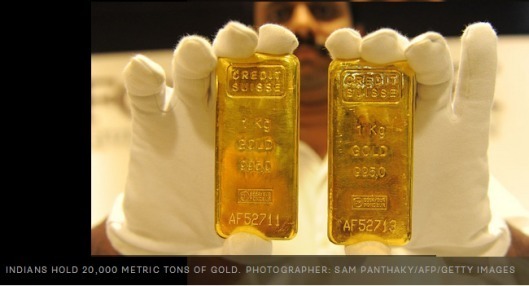 We’ve warned investors for a while that the war on cash would lead quickly to the war on gold. Now it’s happening in India. On November 8 , Prime Minister Modi declared that popular 1,000 Rupee and 500 Rupee notes were illegal. Those denominations are roughly equal of $20 and $10 bills in the U.S. Holders were required to bring the “illegal” money to a bank where it could be deposited to a digital account or converted to other denominations. Of course, the real purpose was to flush out the cash and slap tax liens on anyone who did not have a satisfactory reason for having cash in the first place. The entire Indian economy was thrown into chaos. Of course, many Indians did not trust the cash system or the government already, and had converted their cash into gold, which is the best and most reliable form of money. Once the government realized this, they began going house-to-house and breaking down doors to confiscate gold. That can’t happen in the U.S. because of Fifth Amendment protections against government seizures of property. But, the government could outlaw new sales of gold or slap on onerous reporting and custody requirements that don’t currently exist. Click here to read why the best strategy for defending against the global war on cash is to get some gold today before it’s too late, and keep it in a safe jurisdiction.